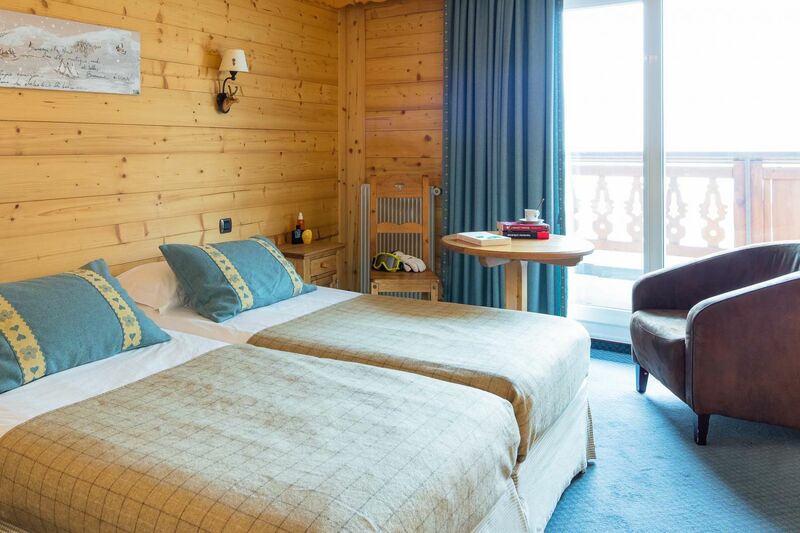 Whether you are visiting as a couple or among family... treat yourself to a stay in a chalet in Isère! At the heart of Oisans, an exceptional domain, a ski resort at an altitude of 1,650 m at the foot of the slopes... Le Souleil'Or, a bright, airy chalet with a pale wooden cladding. 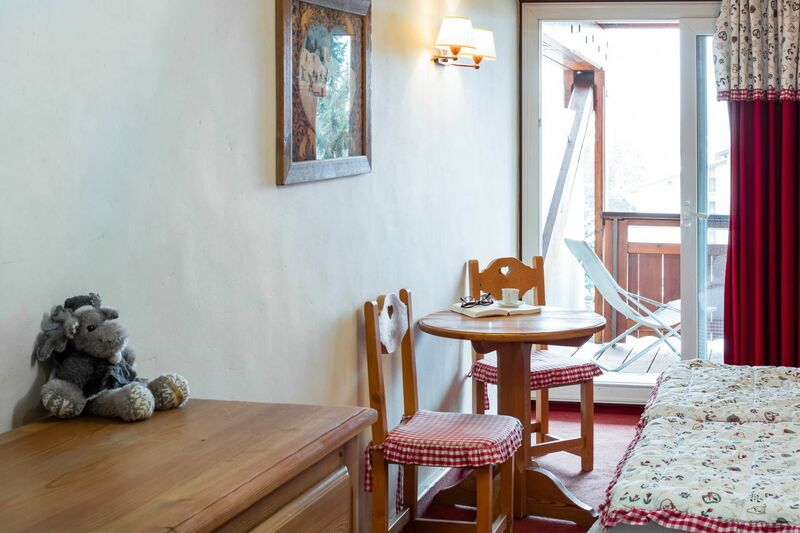 Five minutes from the resort’s main street, our quiet hotel counts 42 spacious rooms which look out onto the mountain and the slopes, with a balcony or terrace. 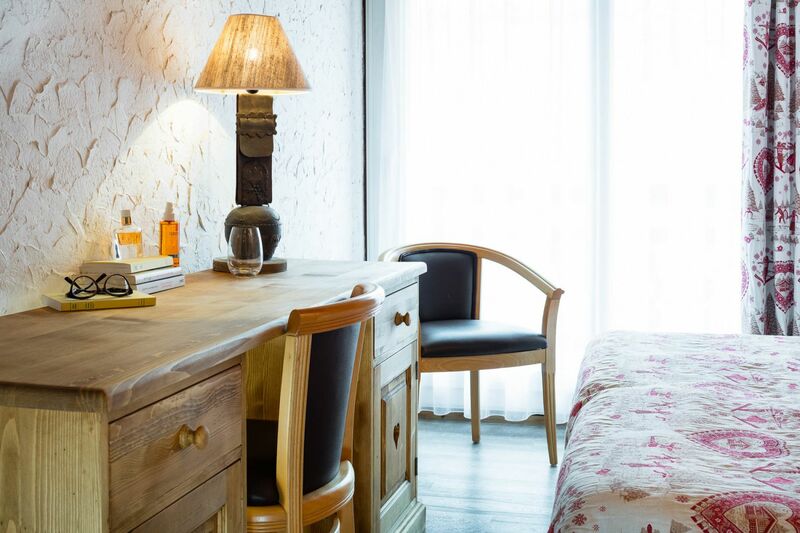 They offer refined interiors decorated with woodwork, plush materials and featuring top quality facilities. Whether you are visiting alone, as a couple, or among family or friends, you will find the right room for you at the Souleil’Or! 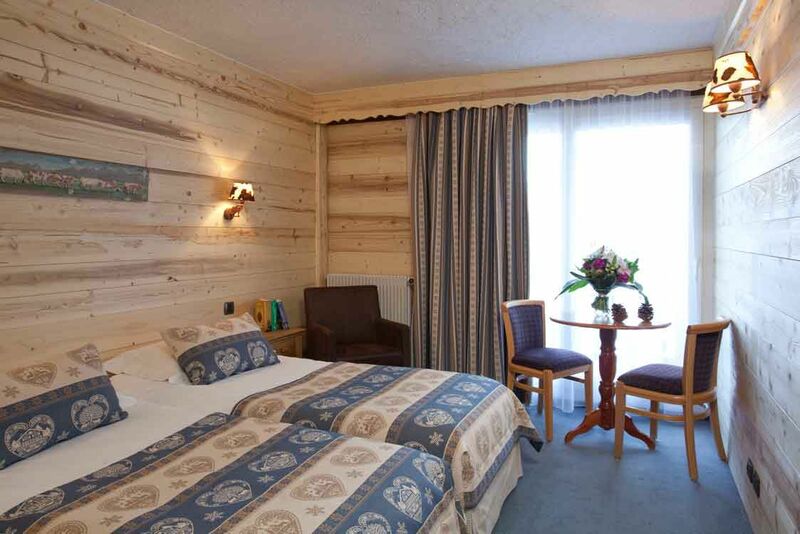 These 20 m² rooms with their typical mountain interiors on the 1st or 2nd floors accommodate 1 to 3 guests. They feature twin beds (190x90) or a double bed (please specify when booking) and a single bed (190x70), ideal for children or teenagers. Bathroom with shower in the bath tub, complimentary toiletries, and hair dryer. South-facing balcony overlooking the mountains. 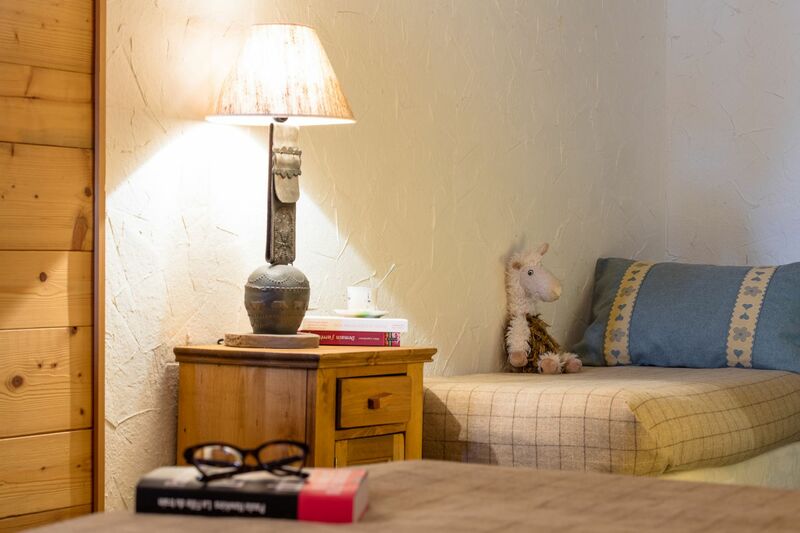 These 18 m² rooms with their typical mountain interiors on the 1st or 2nd floors accommodate 1 to 3 guests. They feature twin beds (190x90) or a double bed (please specify when booking) and a single bed (190x70), ideal for children or teenagers. Bathroom with shower in the bath tub, complimentary toiletries, and hair dryer. Balcony overlooking the slopes. 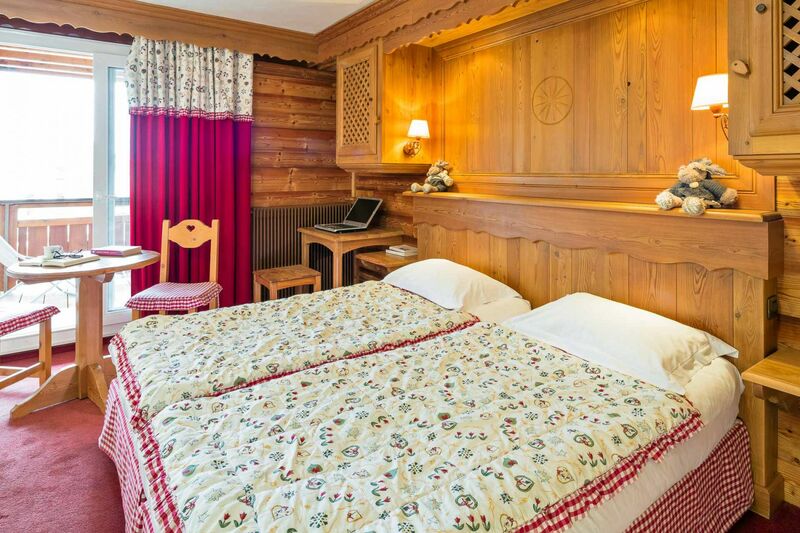 These 20 m² rooms with their typical mountain interiors on the 1st or 2nd floors accommodate 1 to 4 guests. They feature twin beds (190x90) or a double bed (please specify when booking) and bunk beds (190x70), ideal for children or teenagers. Bathroom with shower in the bath tub, complimentary toiletries, and hair dryer. West-facing balcony overlooking the village. 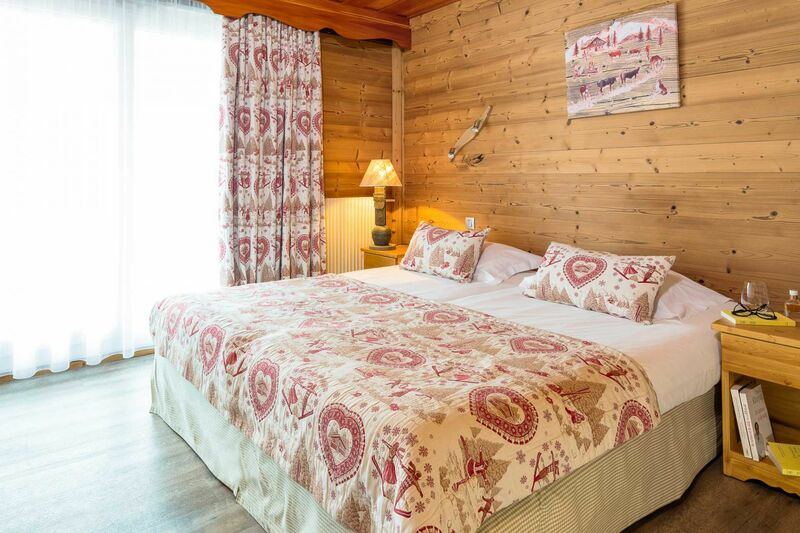 These 22 m² rooms with their typical mountain interiors on the 3rd and 4th floors accommodate 1 to 2 guests. They feature twin beds (190x90) or a double bed (please specify when booking). Bathroom with shower in the bath tub, complimentary toiletries, and hair dryer. South-facing terrace overlooking the mountains. Some of these are available as connecting rooms on the 4th floor - perfect for a stay among friends or family.